Over two years after the Consumer Protection Act came into effect, there is no cellular industry standard that deals with free opt-out messages. More than two years after the Consumer Protection Act came into effect - outlawing the practice of charging consumers to opt-out of direct marketing - no universal system is in place to stop unwanted SMSes. 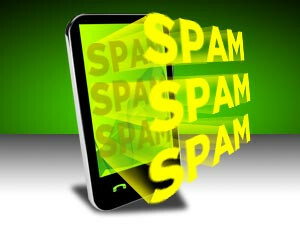 In addition, a national do-not-contact registry, which is expected to eliminate a large amount of spam, is still being pondered by the National Consumer Commission (NCC). The NCC was set up to make sure the law is enforced. More than 300 million application-to-person messages are sent by wireless application service providers each month, and while most of these will be legitimate - such as one-time PINs from banks - many are unsolicited marketing messages. Neither Cell C nor MTN charge consumers for replying no to spam, while Vodacom's free opt-out only applies to its own marketing. It receives about 15 000 opt-out requests a month from people who no longer want to be subscribed to a marketing list. In addition, notes a member of the bulk SMS sector, the cost of opting out puts many people off the process, although the umbrella industry association notes the number of opt-out messages is small in comparison to the size of marketing campaigns. The Wireless Application Service Providers' Association (Waspa) is working on a solution, but says the lack of a national do-not-contact database means there is no simple remedy for consumers. Ryan Birkin, a member of its management committee, says there is no uniform free solution across all networks, which is why Waspa's code still specifies the rate of opting out must be the standard rate if it is not free. Birkin explains that text messages do not allow enough space to put in a lengthy code or reverse-billing mechanism. In addition, if opting out is reverse-charged, there may be people who abuse the system; setting up modems that push out many opt-out SMSes in revenge for a marketing message. The Waspa lobby group is looking at a solution that does not punish either the consumer or the Wasp, says Birkin. He notes that a national opt-out registry, which should have been set up under the Act, would be the ultimate solution. Ebrahim Mohamed, national consumer commissioner, has said the NCC is still in the process of setting up a national register. He says it is currently the case that consumers are paying to opt-out, but could not comment on why the law is still being breached, two years down the line. The Consumer Protection Act states no fee can be charged for stopping direct marketing approaches. Waspa spokesman Anthony Ekerold says some Wasps are using e-mail or toll-free numbers as opt-out solutions so that it is free to consumers, which complies with the law. Others use standard rate SMS, he adds. Ekerold says the standard SMS cost only holds consumers back from opting out if they have run out of airtime. However, BulkSMS MD Pieter Streicher says many people are afraid to opt-out because of the cost involved. "It really is not justified...To stop it is just too expensive." The number of people who do opt-out from a bulk SMS campaign is usually a few percent to a fraction of a percent of the total sent out, says Ekerold. Eddie Moyce, MTN SA's chief customer experience officer, says it implemented a reverse-billed system last June, while Karin Fourie, Cell C's executive head of communications, says Cell C customers do not pay to opt-out from direct marketing. Vodacom's executive head of media - products and services - Nomsa Thusi says its opt-out mechanism relates to its own marketing messages. Vodacom notes it receives about 15 000 opt-out requests a month.